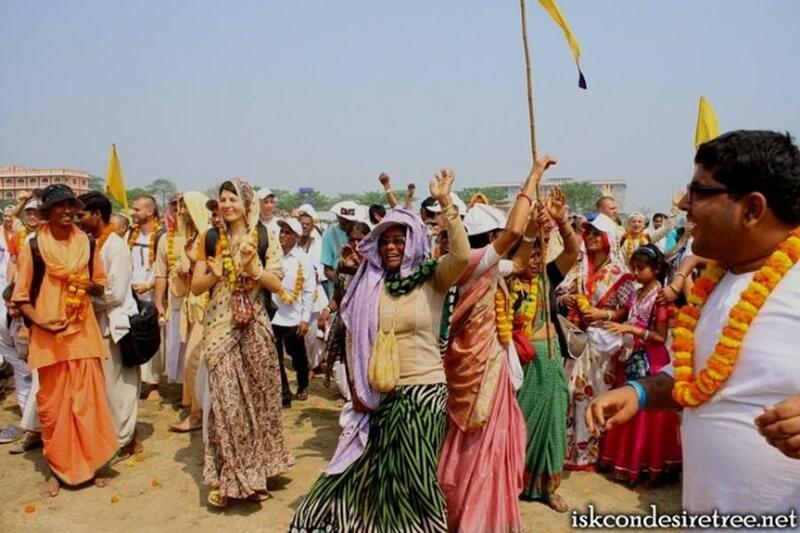 The Navadwipa Mandala Parikrama is held every year in the Pahalguna month (middle of March). 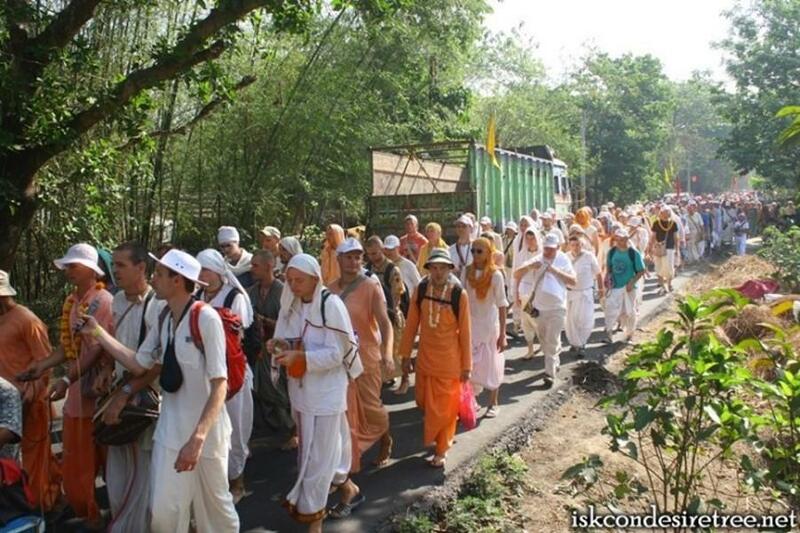 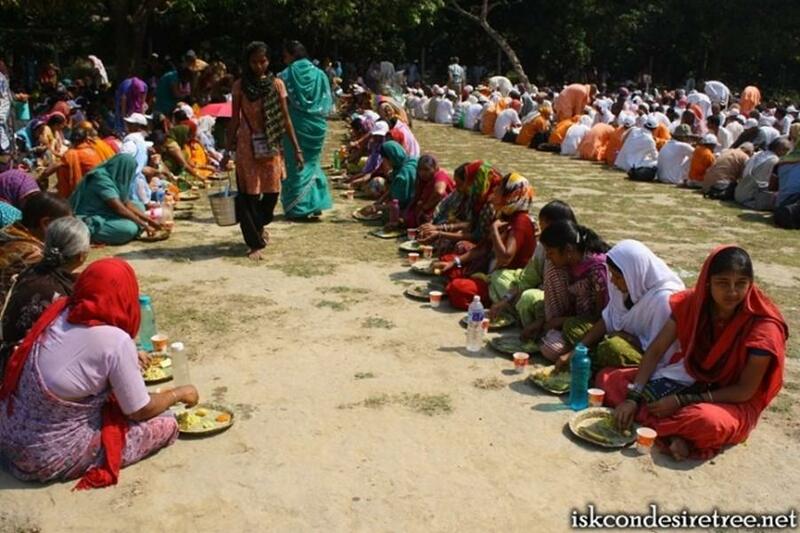 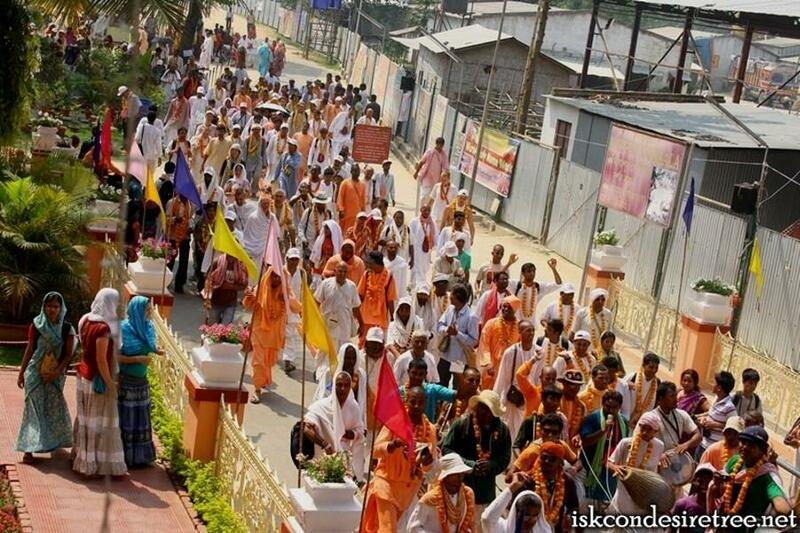 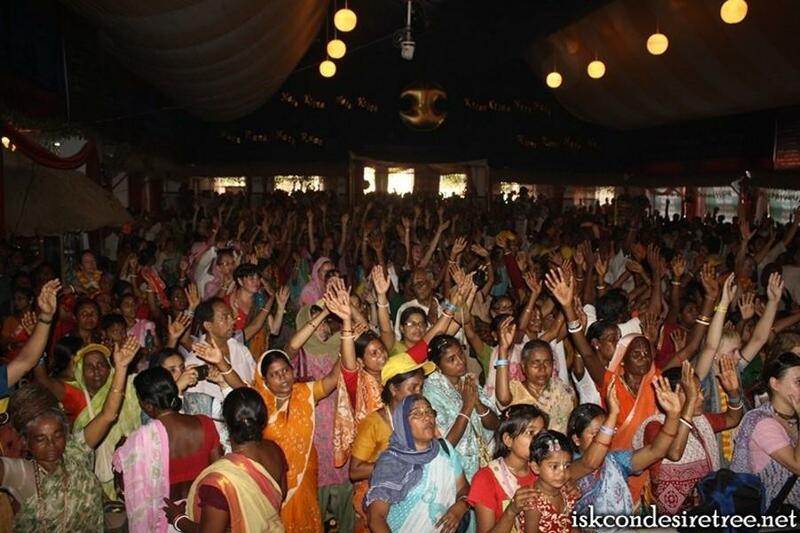 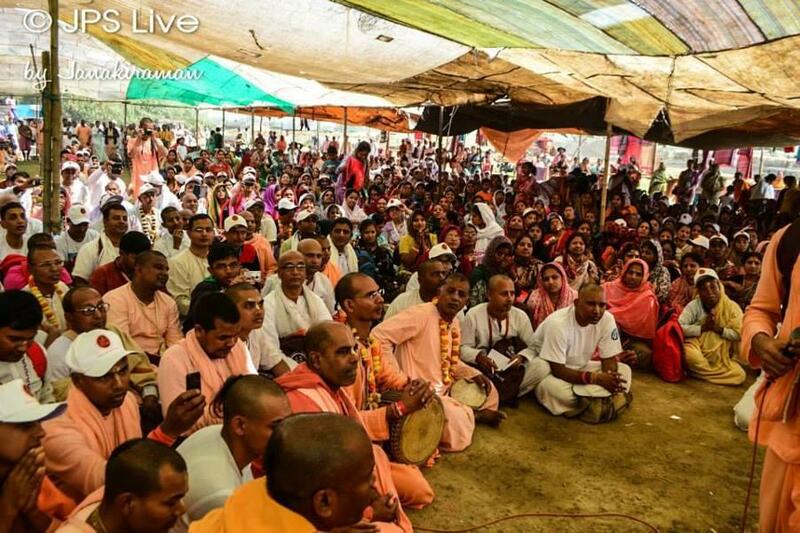 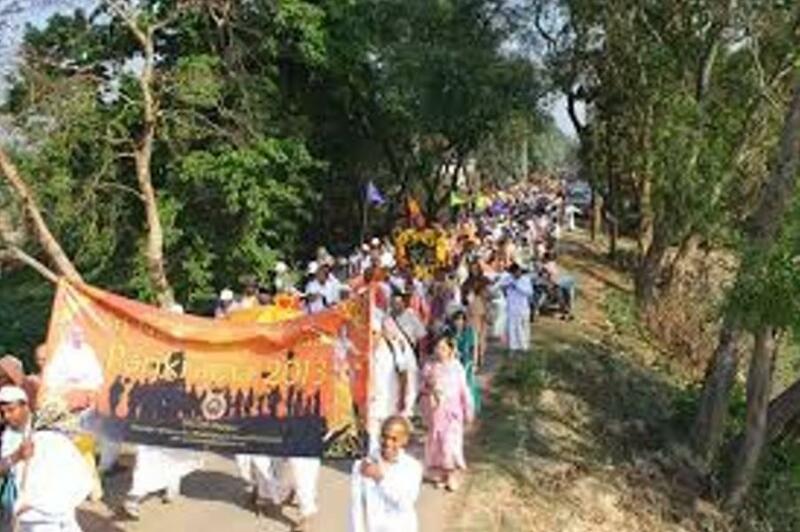 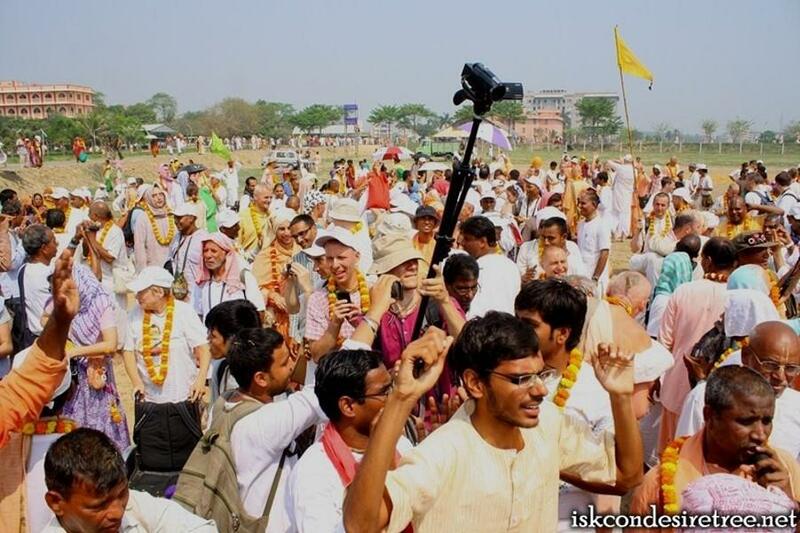 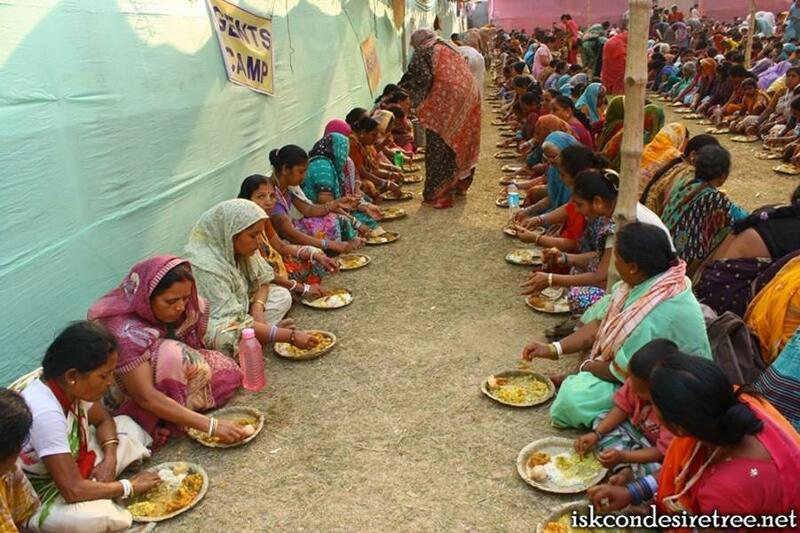 People from all over the world take part in the week long festival held at Navadvipa in West Bengal. 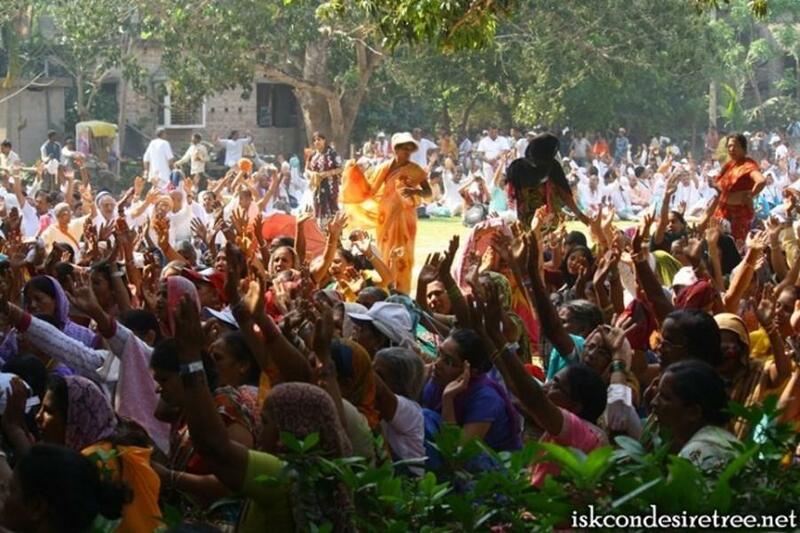 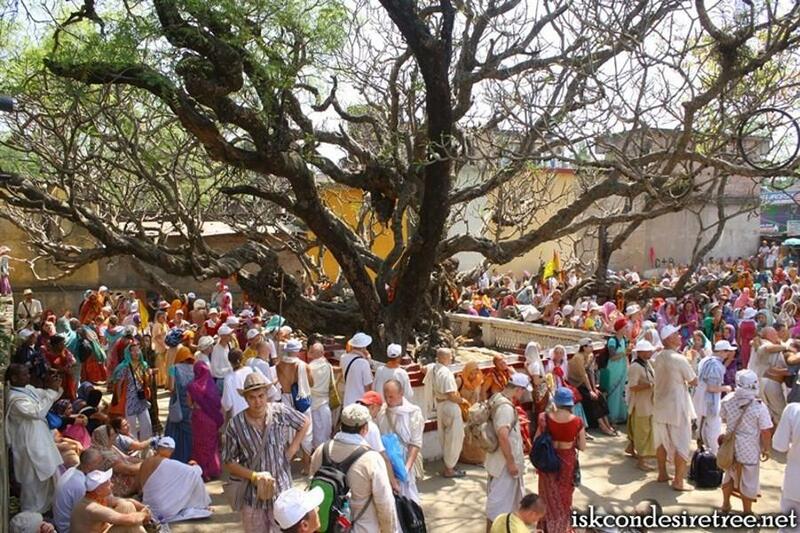 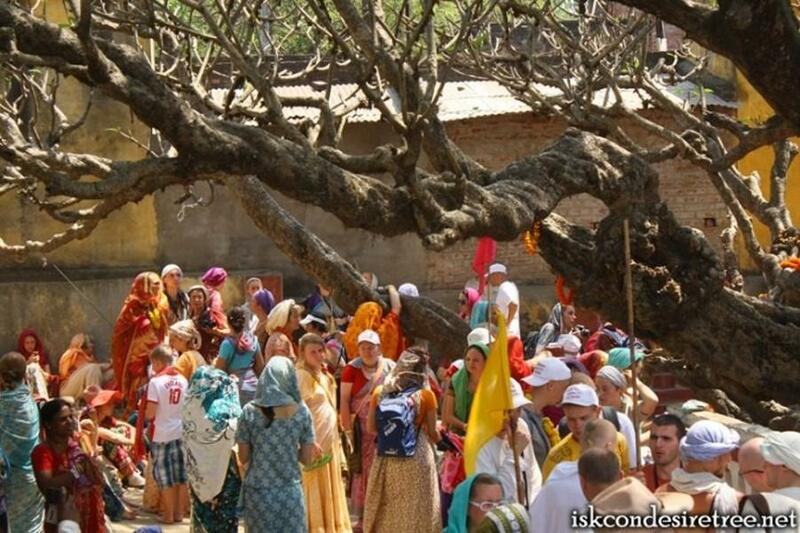 Navadvipa Parikrama means visiting the holy places of Navadvipa in groups. 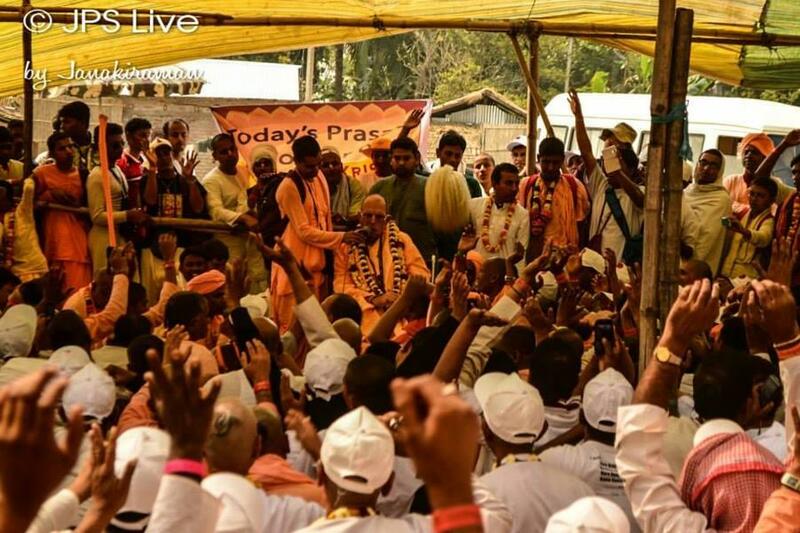 Navadvipa is where the Supreme Lord incarnated as Lord Gauranga (Chaitanya Mahaprabhu) in kali-yuga to teach the people the best way to attain Him. 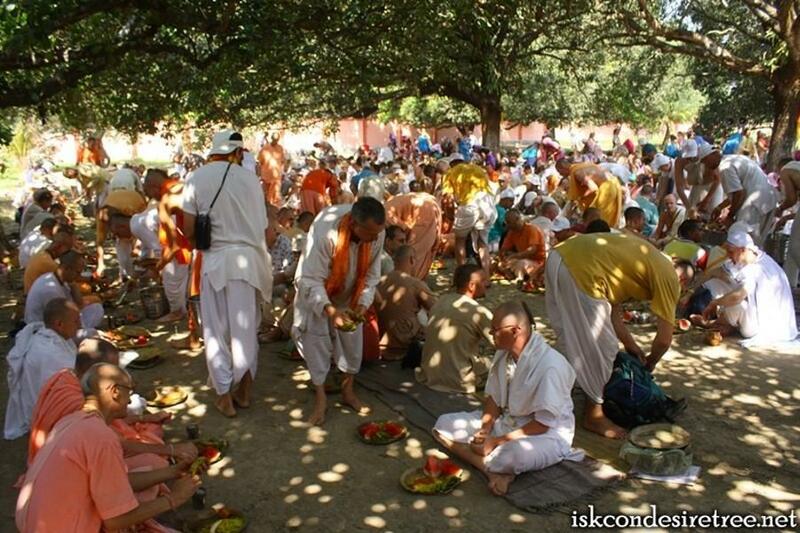 Navadvipa is one of the holiest places on earth and anyone visiting it will become His perfect devotee as Shrila Narottama Dasa Thakura states, shri-gauda mandala-bhumi yeba jane chintamani tara haya vraja-bhume vasa “One who knows the Gauda-mandala-bhumi, the abode of Lord Gauranga, is transcendental and qualified to live in Vraja-bhumi.” Shri Narahari Dasa tells, navadvipa vrndavana dui eke haya gaura-shyama-rupe prabhu. 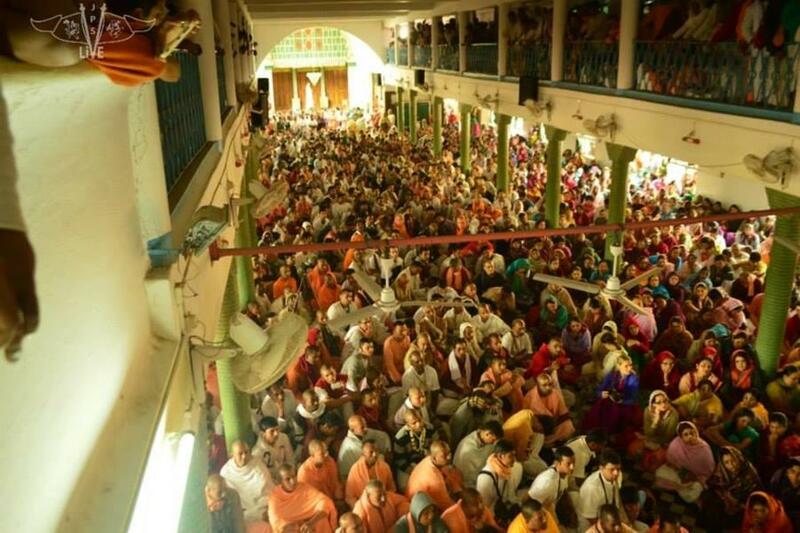 “Both Navadvipa and Vrindavana are one indeed, where the Lord enjoys as gaura (golden) and shyama (dark) respectively.” Therefore, we should not differentiate between Vrindavana and Navadvipa. 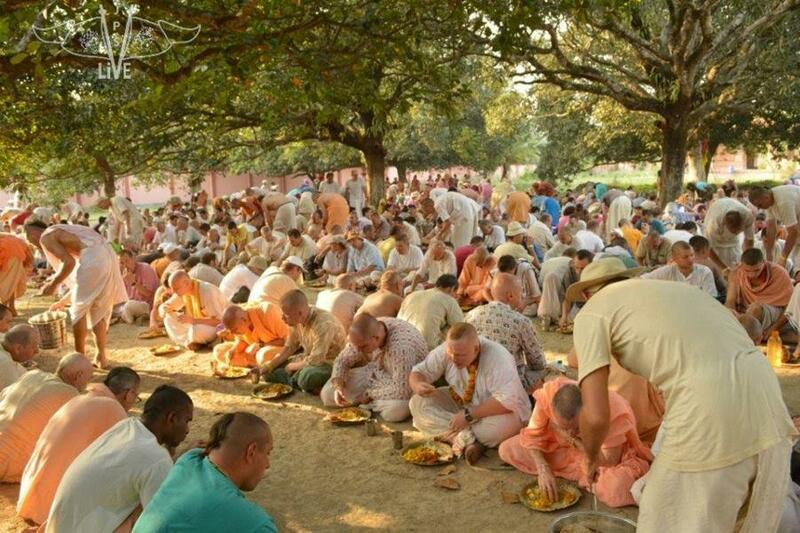 The results one can achieve by Vraja-parikrama is possible with the Navadvipa Mandala Parikrama as well. 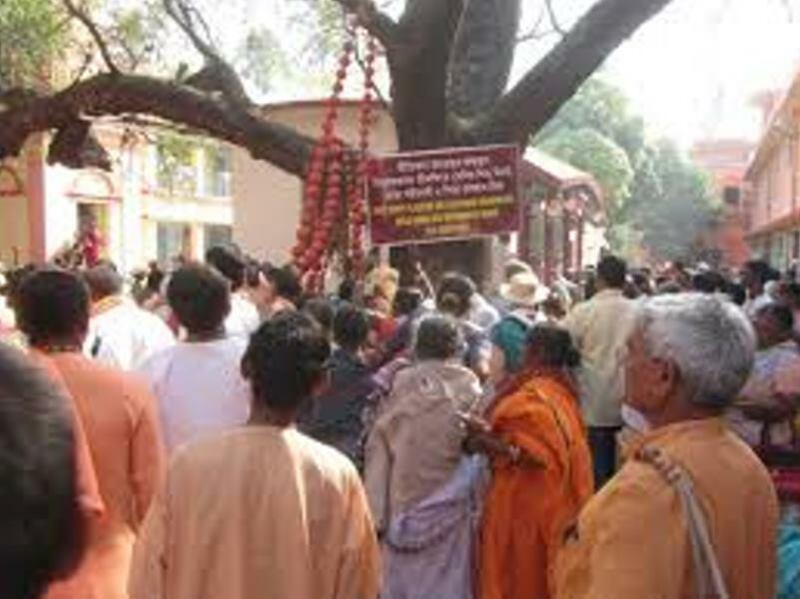 Navadvipa consists of nine islands- Antardvipa, Simantadvipa, Godrumadvipa, Madhyadvipa, Koladvipa, Ritudvipa, Jahnudvipa, Modadrumadvipa, and Rudradvipa. 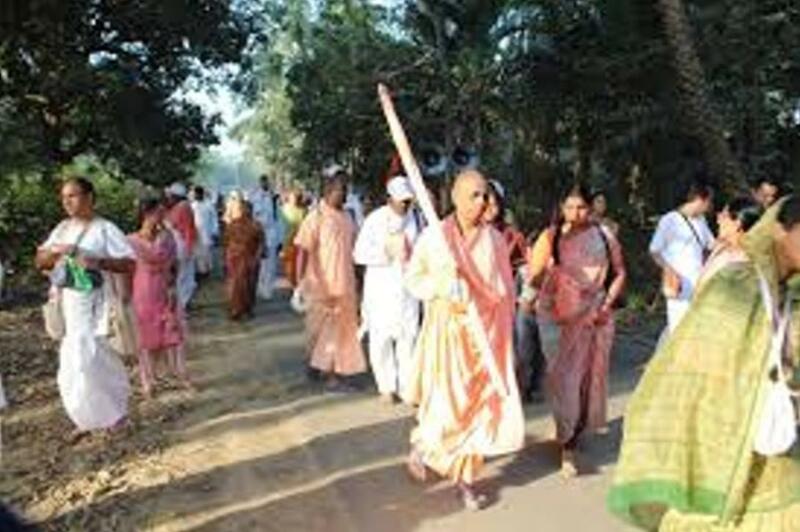 Taking darshan at Antardvipa in Mayapur, the parikrama visits the islands in the above order crossing the holy River Ganga. 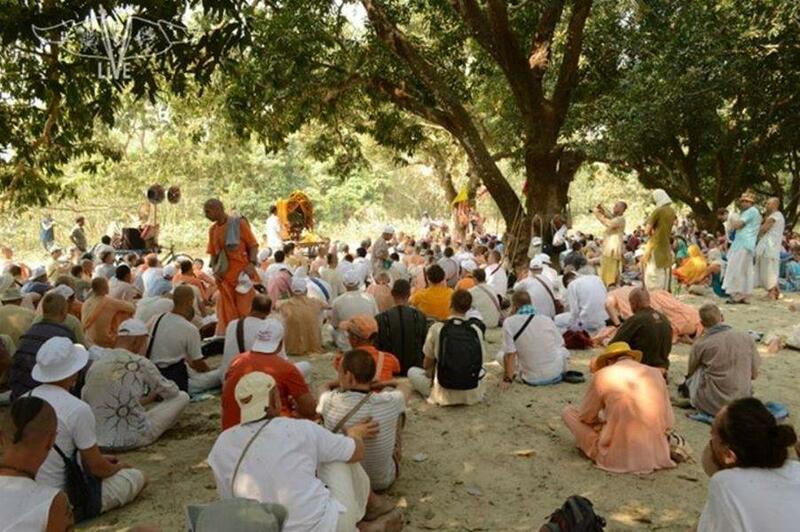 At the end, the parikrama reach Mayapur and pay obeisance in the temple of Jagannatha Mishra and Sachidevi. 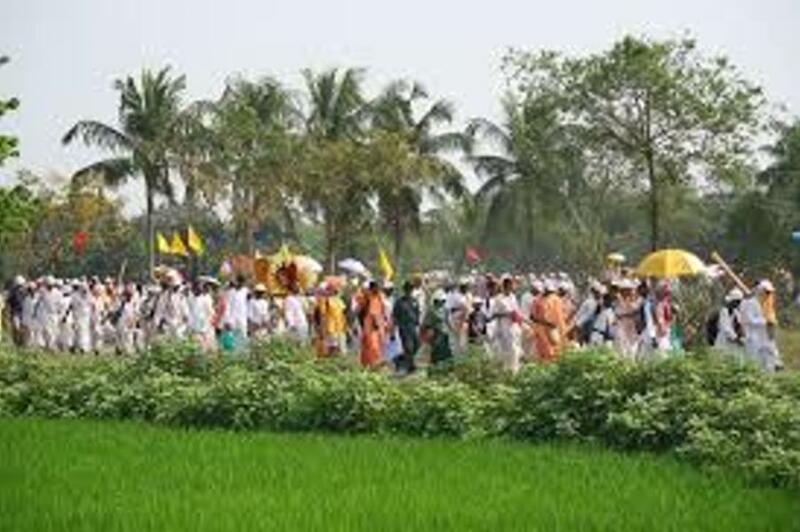 The weeklong parikrama is held from the tithi of Makari-saptami up to the full moon. 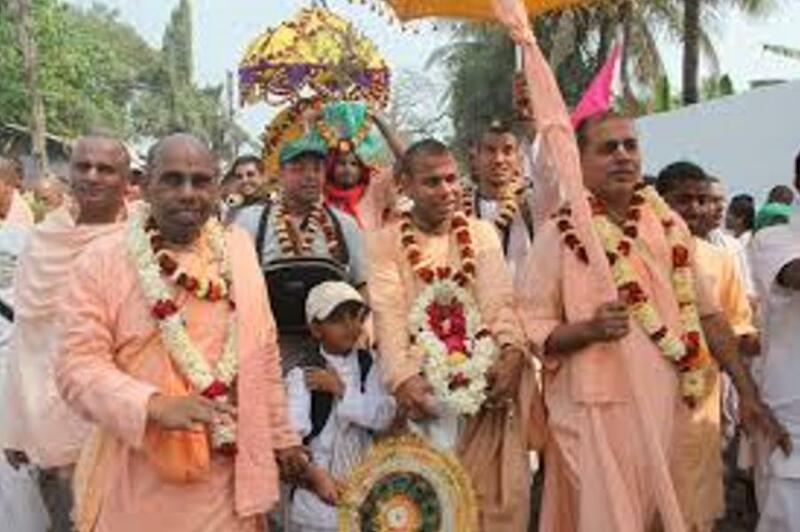 After concluding the parikrama, the holy devotees take darshan at Mayapur on the birthday of Lord Gauranga and they receive the mercy of both Nitai and Chaitanya Mahaprabhu. 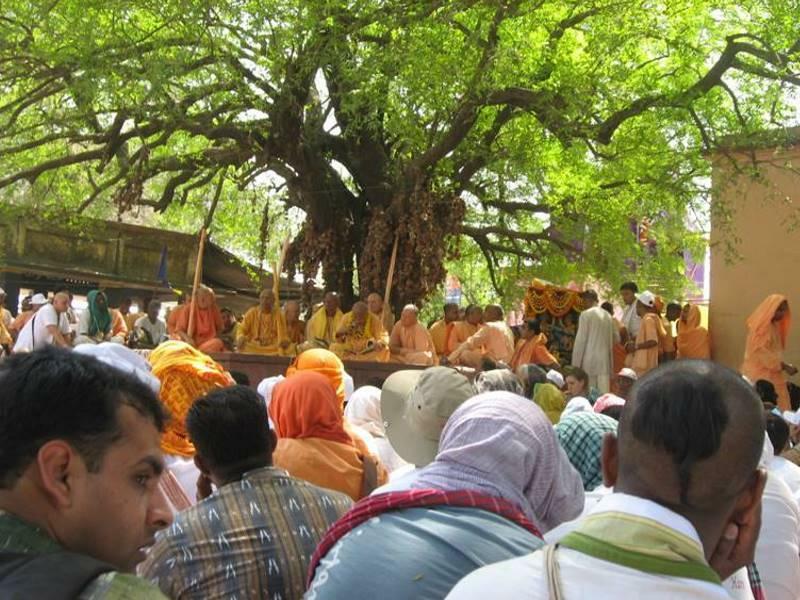 The Navadvipa Dhama is located at the centre of the Gauranga-madala-bhumi, appearing like a large lotus with a hundred petals. 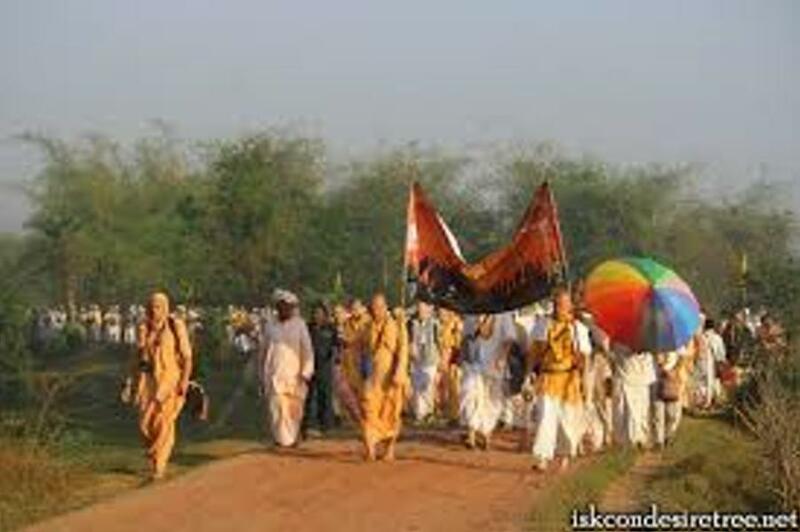 The Navadvipa Dhama has a circumference of 270 km (168 miles) with a diameter of approximately 90 km.